The coolest earrings! Lacy, filigree circles have a light, breezy look. 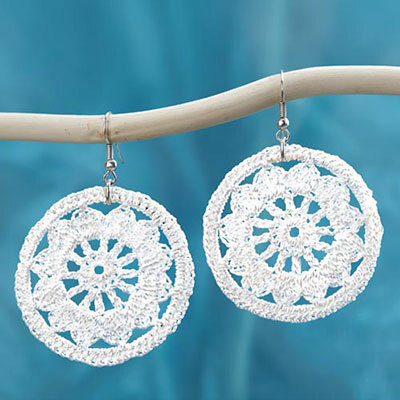 Each cotton Crocheted Earring is crocheted by hand and beautifully unique. A timeless craft, stylishly updated. Imported. French wires, 1½" dia. Hurry! Quantities are limited!